MyCRM Blog | What is happening to the world of CRM? As some of you may know I have spent the last 20 years working in the CRM market place, and there have been very many changes over that time. When starting out I remember installing desktop VB style applications for each user, and the idea of cloud computing even the concept of business solutions offered by an ISP was something that was destined for the future. The technology might have changed and been enhanced over the years, but at no time like the present has the market seen such changes, but is it for the better. Those of us that have spent the decades working with SMB and at the lower end of SME, where the total employee count is less than 40, might raise an eyebrow in surprise or even shock to the current market offerings, and the general direction of the entry price as it moves up and up. It would seem from the outside looking in, that 3 of the main 4 market leaders, seem to have moved into a technology bidding war with each trying to outdo the other with technology offerings, either it be BI, AI, Social, Digital or even codeless integration. For the technology consultant or developer this is great news, as it means that more can be done with the larger projects, and the ability to learn and create advanced technology systems, is becoming realistic and more of a possibility. But, is this really CRM? Well it’s probably not small business CRM, and it’s not what many CRM partners have been used to for the last decade. The mainstay of CRM projects has been for many years the 10 to 40 user implementation, with a focus on helping businesses improve efficiency and systemization, and this has been, what can be squarely be identified as Micro to Small and lower mid-market, business opportunities. Larger organisations, those in the mid or enterprise market have always had complex system builds usually with dedicated environments, so a significant change to offerings in the cloud and a drive to the high-end mid-market along with enterprise will continue to have an impact on solutions available at the lower end for SMB or smaller organisations. 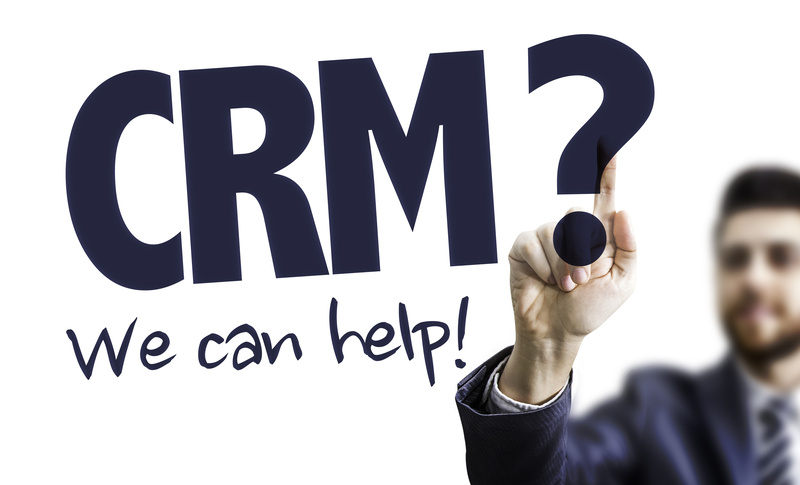 If you are reading this as a business owner, you may well be thinking “YES” CRM is about basic sales and marketing, or if you are reading this as a small CRM partner then you might well be thinking I’m on the right track. The problem facing smaller businesses is, there has always been a need for quick wins, a short project with small investment. Some refer to this as the low hanging fruit, the ability to make changes quickly, and in a cost effective way. While technology for the sake of technology is being introduced as the next big thing, the smaller business is beginning to lose the benefit of CRM or have it taken away, and therefore loses the opportunity to thrive with cost effective CRM functionality. Don’t get me wrong, there is some very cool technological things happening in the cloud platform space, but sometimes you need to just sit back and think, “Do smaller business owners really need a computer system to tell them when an opportunity is viable, using Artificial intelligence.” or “Do they really need complex multi connector workflows”. The answer is likely to be a resounding NO, what they need is straight forward CRM capability. It would seem that the thirst of providing more and more technology capability to beat competitors has somewhat replaced the nut cracker with a JCB (yes much bigger than the preferable sledge hammer), as the basic concepts seems to have been replaced, however the basic needs of smaller businesses have not gone away. CRM in its basic form is still very relevant to a high percentage of SMB businesses, who need to have a shared system where customer data can be stored, they need to be able to track sales and support customers with cases. If you look at some of the main providers, it would seem to the average business owner that there is a drive to separate and licence every single business function required, so your standard CRM that was once cost effective, for a small team at around £40 to £60 per user has now got a 2018 entry price point of £80 to £140. The price is fine if your business can sustain it, but let’s look at the potential market, and let me highlight why I think providers are beginning to miss the point of price point and level of technology required. I will use the UK as an example here, but the figures are pretty similar in every developed economy. The UK has 5.7 million private sector businesses registered, the birth rate of business has been growing consistently over the last decade, while the death rate of businesses has been consistently lower, but a number of those businesses that have died have been very much in the enterprise space employing over 500 members of staff. While the growth rate in UK business has resulted in the creation of small or micro start-ups. It does not take a lot of effort to summarise, that the enterprise space for CRM and business systems is a smaller pot. All whilst the need for basic preconfigured CRM systems in the micro and small business sector is growing. This business sector represents around 5.4 million of the 5.7 million service and privately owned companies. At MyCRM we see the business need, not the need for complex technological solutions. We understand that some smaller businesses work with basic database structures or linked spreadsheets, and that a move to a preconfigured CRM with standard customer care, sales marketing and service capability is actually a big step forward. For the past decade the CRM market has been alive for the 10 to 40 employee base, but the consistently increasing licence costs and making the implementation more significant, seems to suggest that the top providers seem to be ignoring this segment of the market. So, how can we help, well MyCRM has a dedicated platform based on Microsoft technology, that starts with the “CRM Essentials” from just £58 per user per month, we are a CRM company and we understand by offering off the shelf preconfigured systems that need minimal data setup, and very little configuration you can be up and running within a week, using your data in a shared application. What is more we offer a number of setup days free of charge, which means you truly receive not just the software as a service but a solution as a service, including setup, support and first day hand over. Technology is great but we do not believe in over doing it for no apparent reason, there is no costly BI or data mining ad-on cost, there is no artificial intelligence, just “back to basics” CRM that works to help your business grow and prosper.